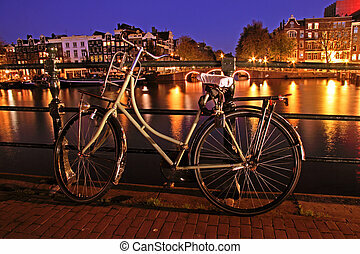 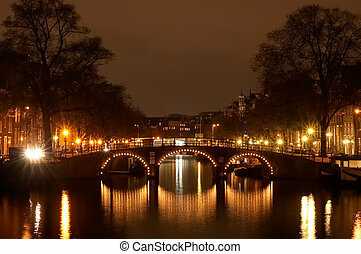 Amsterdam at night. 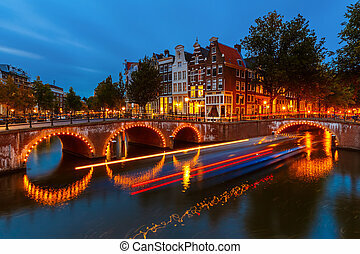 Nightview of nicolaaskerk in amsterdam. 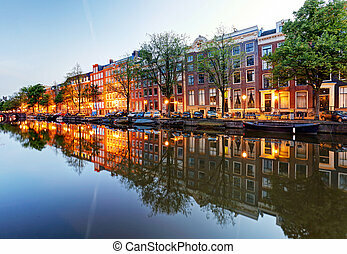 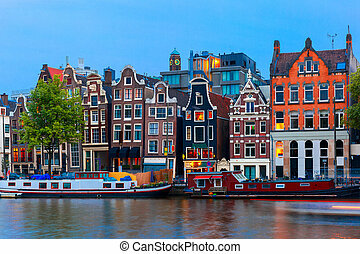 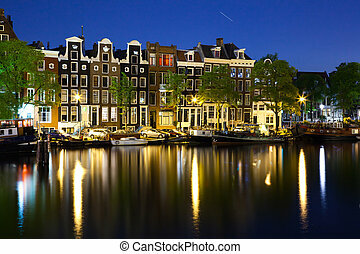 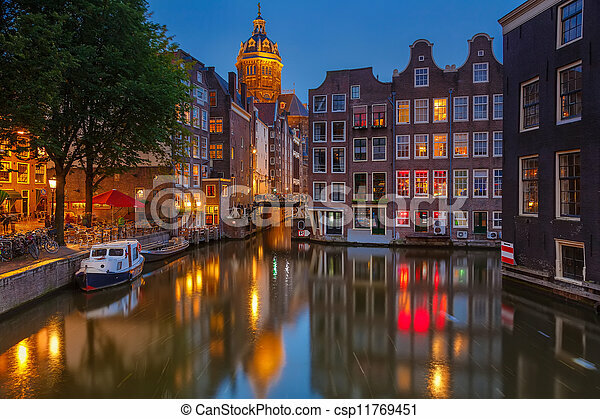 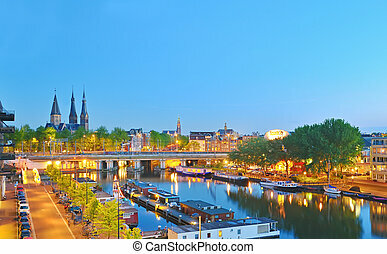 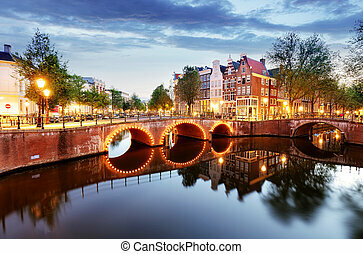 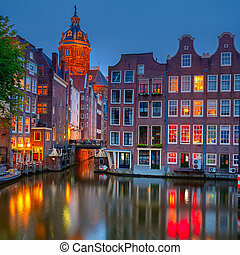 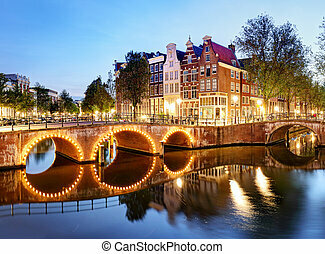 Night city view of Amsterdam canal, typical dutch houses and boats, Holland, Netherlands. 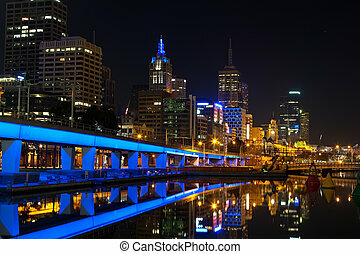 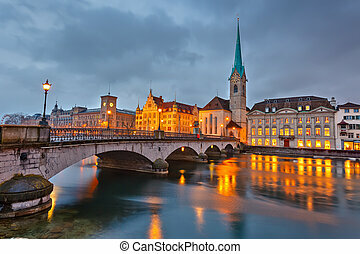 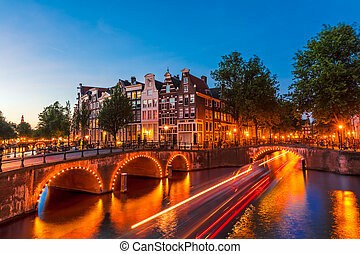 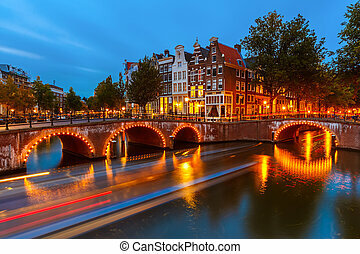 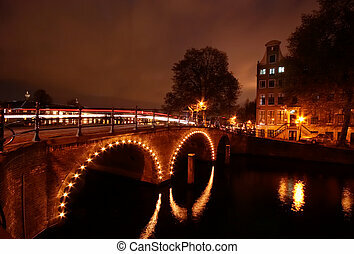 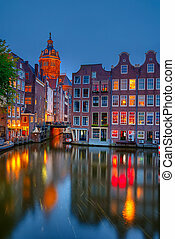 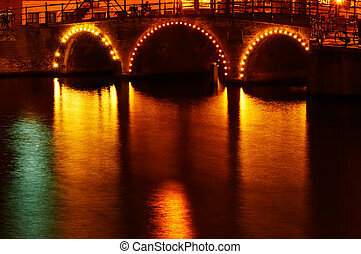 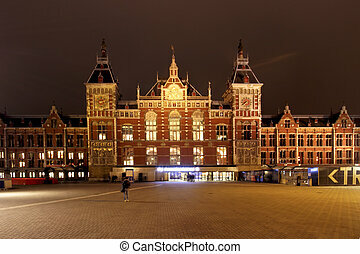 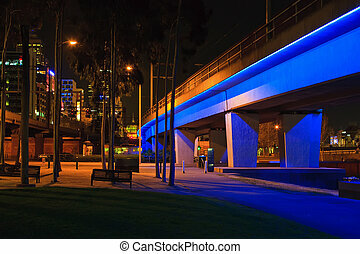 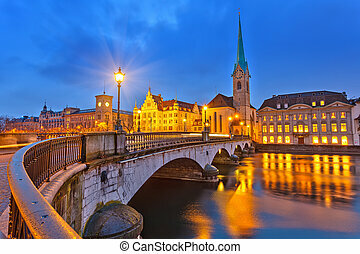 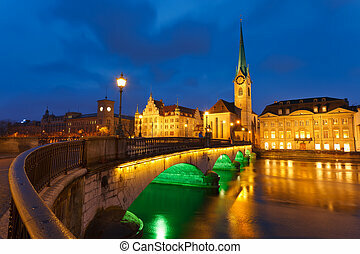 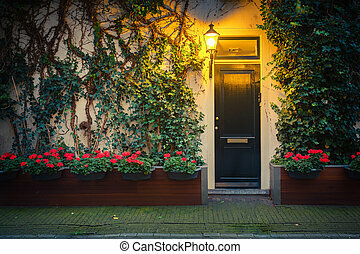 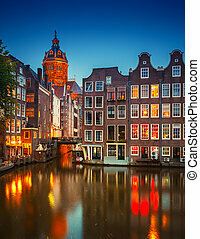 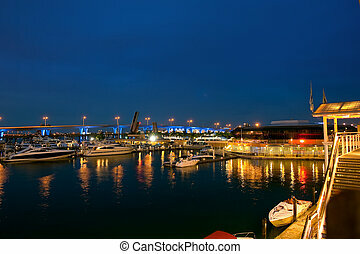 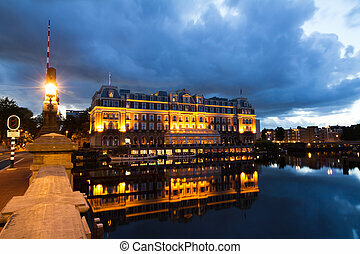 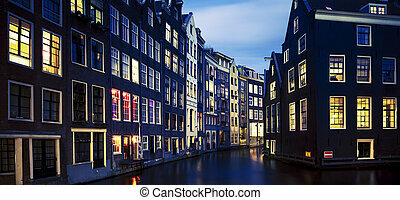 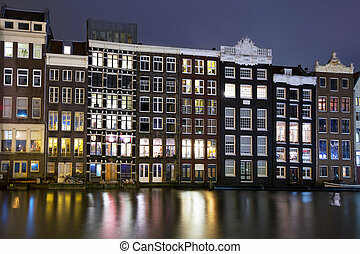 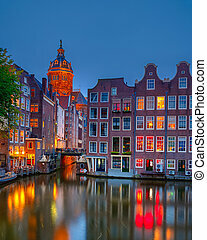 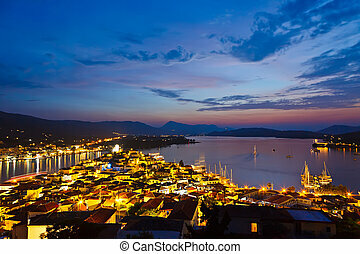 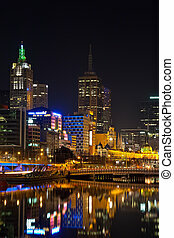 Historic buildings of old Amsterdam at night.